I’ve been a Packer fan for as long as I can remember. My family is from just north of Green Bay (Door County), my great-grandfather played on the first team with Curly Lambeau and for my entire existence, I have been groomed to love the Green Bay Packers. While I grew up in Southern California, I spent summers in Wisconsin as a kid. 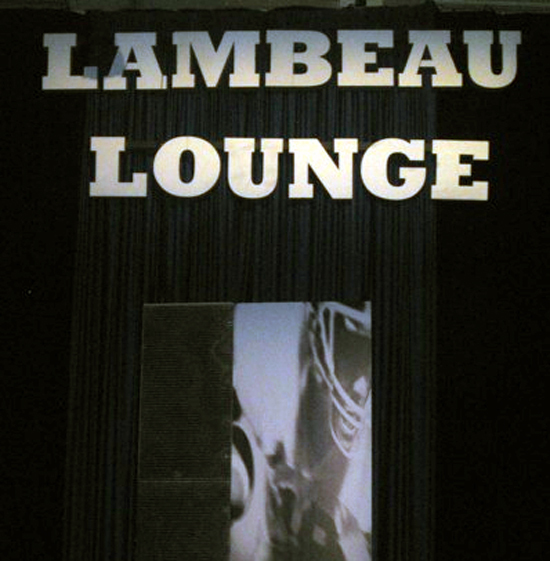 I remember on a couple of occasions running into a few of the Packer players in the old four gate Austin Straubel Airport and let me tell you, I had never seen human beings that big before. They looked like super heroes. Long story short, I love the Pack. When I heard about Upper Deck Authenticated’s “Ultimate Fan” contest for Aaron Rodgers signed items, I wasted no time in putting my submission together, even though I didn’t have high hopes for winning. Ladies and gentlemen, I came in third place and won a mini helmet signed by Mr. Aaron Rodgers himself. And he didn’t just sign his name, nay, nay, he actually inscribed “Emily—All the Best.” Photos, emails, phone calls were made to my entire extended family. I felt like I was Charlie from Charlie and the Chocolate Factory and this helmet was my golden ticket. It was so exciting! I knew going into this season that the Packers had a shot at making the playoffs. Rodgers was playing well, their defensive line was unstoppable and although plagued by injuries early in the season, they continued to stand out. Then it happened, a sixth seed turned into a playoff run, which turned into a trip to the Super Bowl. I cannot express the level of fear, anxiety and overall excitement I experienced going into the game. My sister Audrey lives in Las Vegas. Traditionally, I spend the Super Bowl with friends at home in San Diego, but for an event of this magnitude, I needed to be with my fellow Packer bloodline (and don’t think for a second that my new UDA mini helmet wasn’t going to make the trip with me). 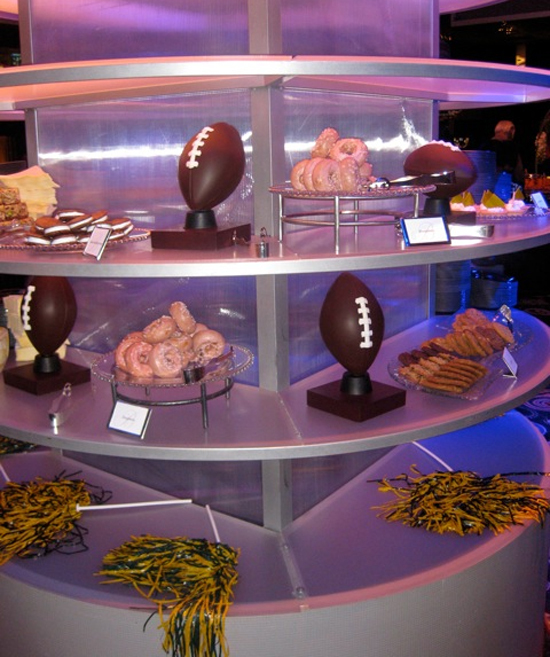 We were invited to the Bellagio Super Bowl party and let me be the first to say, those people can throw a party. 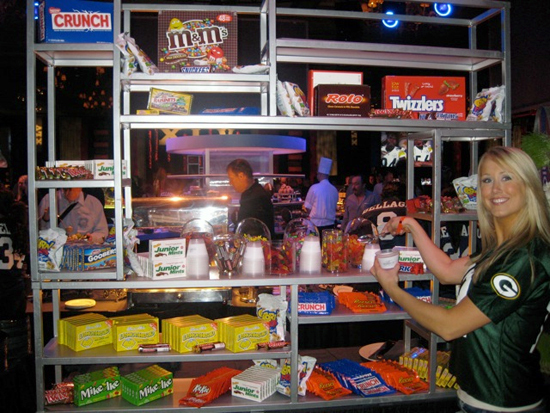 The walls of the entire banquet room were covered in giant big screen TVs, there were four bars, incredible (and unlimited) food, great table service, Green Bay- and Steeler-themed centerpieces, pom poms, candy, chocolate footballs, it was just awesome! Yes, those are actual chocolate footballs, what will they think of next? 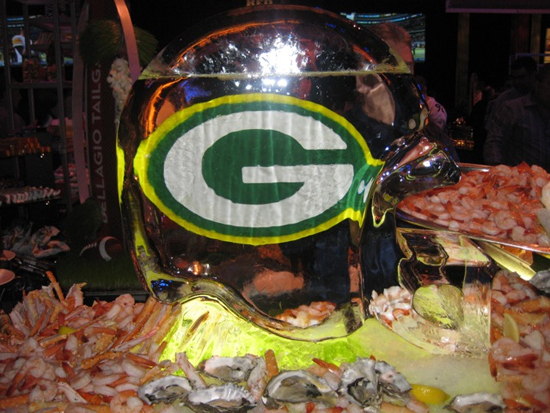 The ice sculpture was cool, but check out all the shrimp. Have you ever seen so much shrimp? Naturally, my sister and I geared up in matching Packer outfits: Rodgers jerseys (shipped in from the Wal-Mart in Green Bay…thank you cousin Irma); white tube socks with green and yellow stripes; and Packer unmentionables that can only be found online or at the Packer Pro Shop in Lambeau Field (where I purchased them). After Audrey and I both suited up, we each kissed the mini helmet, told it stories of victory, sang sweet lullabies to it and even offered it a green and yellow gummy bear. To say that we believed this helmet to be a good luck charm would be an understatement. Watching the game feels like a dream; mostly in part due to the shots we took after every Packers touchdown. Hey, it was free! Still, when I think back on the successful first half, the too close for comfort second half, the confetti raining down, Aaron Rodgers accepting the MVP award; it just feels too good to be true. 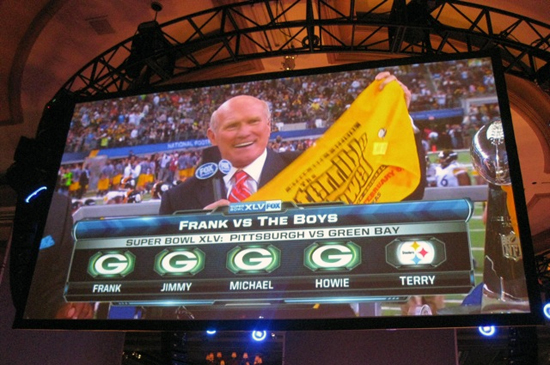 It’s going to be tough to top this Super Bowl, but I have my fingers crossed that the Packers can repeat next year. It was an amazing experience and I want to thank Aaron and UD for helping me get a great new good luck charm. Go Pack! Upper Deck Surprises a Variety of Deserving Fans this Valentine’s Day with Random Acts of Kindness Mail Days! Awesome story, guys, and congrats to both UD and Rodgers for going the little extra distance to make this really special for Emily. We’ll post this up on our page for everyone to enjoy! awesome story! thanks for sharing, em. WOW!!! These stories and details only validate the authentic fan appreciation of a first-class organization. Hands up in applause for an exceptional season and for all the “behind the scenes” folks who make the Pack the best! Very awesome that the detail for appreciation is warmly recognized and support is evident in the entire organization. Congrats! I am Emily and Audrey’s cousin and I vouch for everything that Emily said….our lives have been tailored around Packer games since any of us can remember. 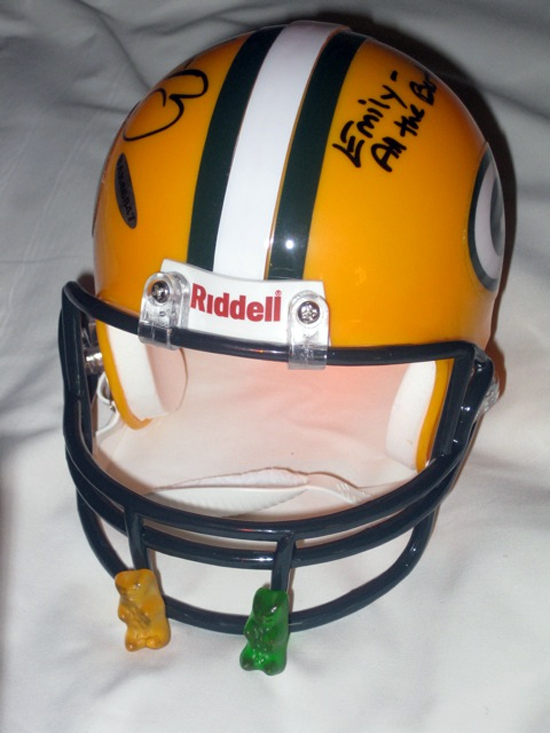 For a member of our family to have been bequeathed with such an honorable gift as an autographed Packer helmet, it’s cause for much hoopla and celebration. Drawing from our Belgian heritage…we know how to party. A bit of info…Belgium has the largest number of holidays and yearly celebrations…it’s in our blood! Great story. Great game. Pretty ladies. Hard to get better than that.